Summer is a chance to let loose, make some cash, and have some fun. For the Greenville University women’s cross country team, all this was potentially accomplished with 20 to 50 miles run each week. 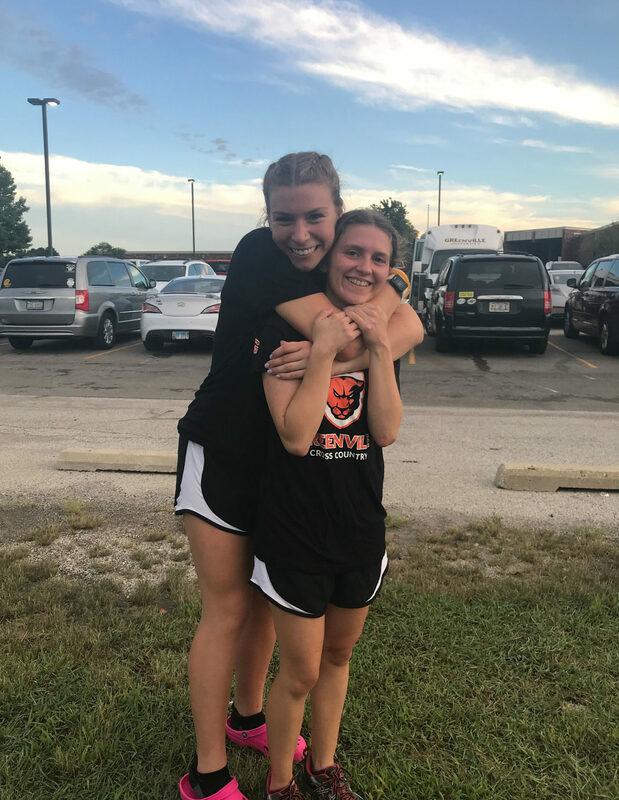 These ladies look for success in the fall, therefore, summer training is critical for top notch times when the competitive meets roll around, such as the SLIAC Conference meet and NCAA Regionals. Classes have started and so has the cross country season. 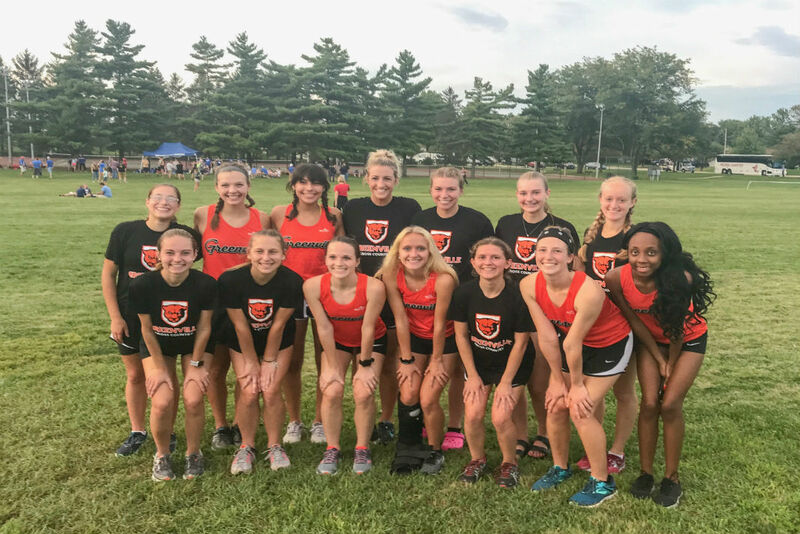 The team had the opportunity to put their summer efforts into action and get their feet wet this Friday on August 31 at the Illinois Wesleyan University meet. This race served as a preview for the season because the distance race was only two miles rather than 6k which is as long as this season’s races will get. Brian Patton, the cross county coach, described the meet as more or less a “dress rehearsal.” It was an opportunity to warm up the competitive juices, but if the times that rang in were not ideal, it was nothing to stress over. This meet simply gives a relative idea of where each member sits in comparison to where they would like to be. Team picture after the race. Media by Dylon Niswonger. The team has lots of new faces with seven freshmen making up half of the women’s cross country team, so many of these new faces will already be carrying responsibility for the team. Three freshmen have already had the opportunity to score points. Out of the 80 competitors, freshman Emma Leonhard finished 52nd, opening her season strong with a time of 14:32. Hannah Williams, also a freshman, kicked off her first cross country season not only for her collegiate career, but also the first of her lifetime. Williams crossed the finish line with an exceptional time of 14:22, taking 49th overall. Coming off an injury weighted season, finishing 43rd was Sheridan Noll, senior, with a time of 14:03. Sabrina Favela, another freshmen, put up a time of 13:54 for her first collegiate race, finishing 40th. Jordie File, senior, also coming off an injury weighted career, cranked out a time of 13:39 and crossed the line in 35th place. Shirley Estes, senior, was super excited for this race with her 27th place finish and time of 13:24. Finishing 25th and leading the team with a time of 13:20 was junior Kori Nesbit. Estes and Nesbit celebrating a finished race. Media by Dylon Niswonger. Estes described the meet as an “Ice breaker.” As the season opens, she feels excited for the upcoming weeks as she grows closer to the new faces on the team and watches teammates build on their potential. Additionally, Noll was proud of how the team pushed through the pain that comes with a season opener. She is also looking forward to seeing how they all grow as athletes and as a team. Now that summer is over, it’s the time to get serious and put in the miles. The Greenville women’s cross country team put in lots of work this summer and can’t wait to see how it pays off in the fall.